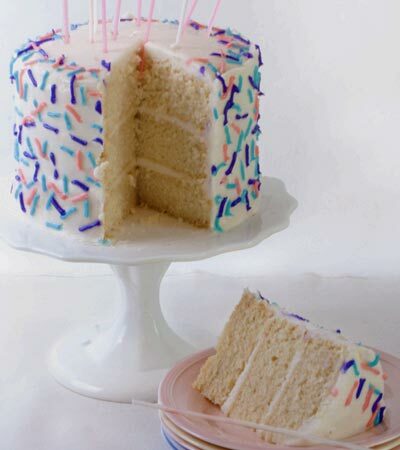 A perfectly moist vegan white cake recipe with a delicate taste. Do not double this recipe. If you try to mix more than one recipe at a time it causes the cupcakes to become too tough or in some cases too gummy. 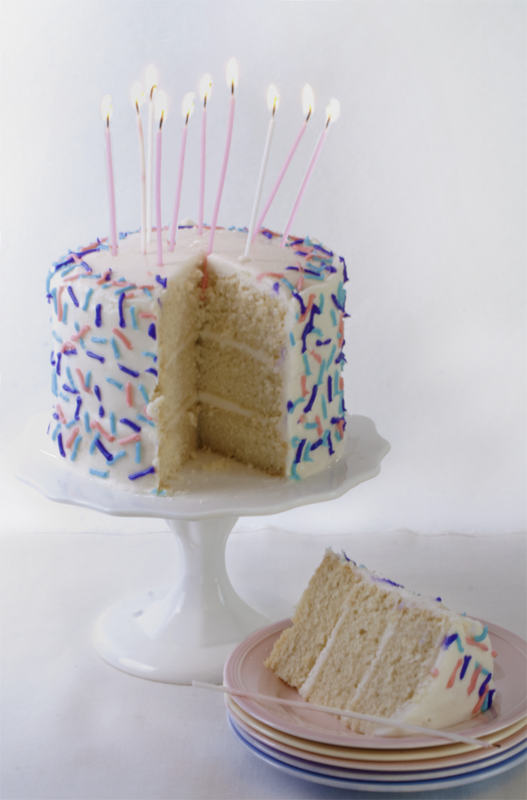 If you want to make an entire 3 layer birthday cake instead of cupcakes, I recommend making and baking 1 layer at a time. Want to know what others thought about this recipe? Would you like to comment on this recipe? Go to the Vegan White Cake blog entry. Prepare your cupcake pans with paper cups and preheat the oven to 350 degrees. In a mixing bowl add dry ingredients: flour, sugar, salt, baking soda and powder. Stir together. Next, in a separate small mixing bowl combine the wet ingredients: water, butter, oil, vanilla, lemon juice. Stir the wet ingredients together. Now pour the wet ingredients into the mixing bowl with the dry. Take special care not to over mix the ingredients. DO NOT use an electric mixer. Stir it with a big spoon and stir slowly until ingredients are well combined with a few lumps. Pour the cake batter into the cupcake wells, filling them 3/4 the way. Place into oven and cook 20 to 25 minutes or until a tooth pick can be inserted in the middle and it comes out clean. After they are out of the oven let cool for 30 minutes before icing them with your favorite vegan icing recipe or use our white cake icing recipe.